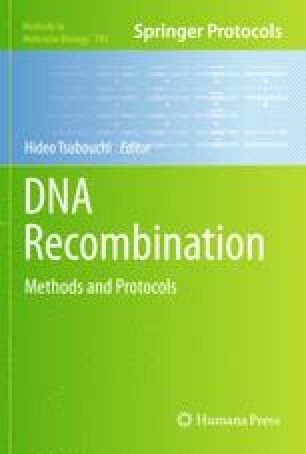 Recombination in first meiotic prophase is initiated by endogenous breaks in double-stranded DNA (DSBs) which occurs during a time when chromosomes are remodeled and proteinaceous cores (axes) are assembled along their length. DSBs are instrumental in homologue recognition and underlie the crossovers that form between parental chromosomes to ensure genome haploidization during the following two successive meiotic divisions. Advances in fluorescence microscopy and genetic engineering of GFP-tagged fusion proteins have made it possible to observe the behavior of entire chromosomes and specific subregions in live cells of the yeast Saccharomyces cerevisiae. In meiosis we observed that telomeres are dynamic and move about the entire nuclear periphery, only interrupted by their fleeting clustering at the spindle pole body (the centrosome equivalent), known as bouquet formation. This mobility translates to whole chromosomes and nuclei during the entire prophase I. Here we describe a simple setup for live cell microscopy that we used to observe chromosome movements during a time when DSBs are formed and transform into crossover and non-crossover products. We thank David B. Kaback, UMDNJ, New Jersey, USA, and Edgar Trelles-Sticken, previously MPI-MG, Berlin, for fruitful collaboration, and J. Loidl, Univ. of Vienna, Austria, for critical comments on the manuscript. The work in the lab of HS was supported in part by H.-H. Ropers, Max-Planck-Institute for Molecular Genetics, Berlin, Germany, and the DFG (SCHE 350/10-1, SPP 1384).